Before workers’ compensation laws came into existence in 1929, you had little choice but to sue your employer, in the event that you were injured on the job. However, this was problematic, as it could lead low-income workers to absorb large legal fees. Also, most injuries didn’t allow for the long periods of time that it would take for these legal battle to pan out. Workers needed immediate medical care and reimbursement for lost wages. This led to many workers taking minuscule settlements from their employers, and thus neglecting medical attention for a long time. Essentially, this system wasn’t very beneficial to employees. 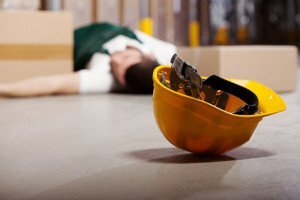 Since that time, workers’ compensation laws have been created and are able to handle many of these work injury issues. Employers now pay into a fund that is essentially workers’ compensation insurance. This fund grants the employee immediate access to health care and wages that are lost, due to their injury, in the event of a workplace injury. However, it is also a “no-fault system”, which grants the employer limited legal liability. This saves everyone from costly court battles, which sometimes lasted years. Rather than attempt to sue your employer when you are injured, employees now file workers’ compensation claims. However, there are instances when an employer can be sued for an act that is extremely negligent, and contributed to very clear, even malicious, punitive damages to an employee. These claims are quite rare, as they can add many complications to the workers’ compensation process and are often quite difficult to prove. Oftentimes, Woodson claims are brought up in the cases of wrongful death, or in violations of things like child labor laws. However, in many cases, it may not necessarily be the employee who opts to sue the employer. Instead, other government labor agencies may use a Woodson claim to go after a company that is engaging in deliberate illegal acts.